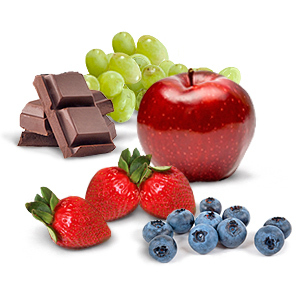 Published April 4 in the journal Neurology®, the findings add to the growing body of evidence that regular consumption of some flavonoids can have a marked effect on human health. Recent studies have shown that these compounds can offer protection against a wide range of diseases including heart disease, hypertension, some cancers and dementia. Parkinson’s disease is a progresssive neurological condition affecting one in 500 people, which equates to 127,000 people in the UK. There are few effective drug therapies available. Dr Kieran Breen, director of research at Parkinson’s UK said: “This study raises lots of interesting questions about how diet may influence our risk of Parkinson’s and we welcome any new research that could potentially lead to prevention. A neurologist recommended in the year 1998, that I should be medicated against my tremor, but I said no thank you to his offer, as I preferred to be better diagnosed before starting medication. The following year my symptoms increased, as I became more rigid and my tremor got worse and I therefore was easy to persuade by a new neurologist to try anti-Parkinson medication. Shortly after, I was scanned for Parkinson’s disease and the result was compatible with the diagnosis of Parkinson’s disease in the early stage. Anti-Parkinson medication helped to decrease the symptoms, but soon I experienced more severe symptoms. At first I thought that it was the disease becoming more severe and this was confirmed by my neurologist who told me that it was unavoidable. – The medication can result in abstinences when the medication is stopped. 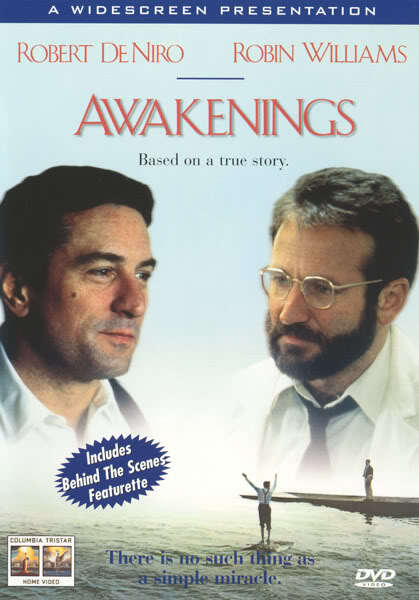 – Many of the symptoms, that I thought were Parkinson’s symptoms, were in reality side effects of the medication. Therefore I decided to accept the symptoms of the disease instead of being burdened with adverse side effects of the medication. The outcome of this choice forced me to search for factors, which had influenced my symptoms. In the year 2001 I was tested for Heavy Metal Toxicity in a private clinic in Aarhus, Denmark by Dr. Bruce Kyle and I was diagnosed with a combined toxic overload with mercury and copper. I was treated at Dr. Bruce Kyle’s clinic with the Chelating Agent DMPS, with Vitamin-C infusions and different kinds of antioxidants and nutritional support. At the same time I had my amalgam fillings removed and had non-toxic, non-metal composites instead. This was done by a dentist with extra education in safe removal of amalgam. I also use saunas, which help detoxification by sweating out the toxins through my skin. After some years of undergoing detoxifying treatments, I had fewer tremors and was less rigid, but I still suffered from fatigue. Allergic reaction against metals was suspect, and I undertook a MELISA-test. My test showed an allergic reaction against gold, nickel and cadmium and treatment protocol was removal of a dental gold crown, which was replaced with plastic. Now, I try to avoid nickel and to eat more organic food to avoid cadmium. Luckily I have been rewarded for my efforts as my fatigue has decreased. Today I can honestly say that testing and treatments for my chronic cumulative toxicity has been successful for revealing some of the causes of my Parkinson’s disease. However, I still have slightly high levels of copper left and in autumn 2006 and spring 2008 tests show that I am also burdened with lead and aluminium. I don’t dare to think about how my life would have been without detoxifying treatments! When I look at other patients with Parkinson’s disease who are getting worse, I have even more reasons to be thankful for my health, which continues to improve as time goes on. Where do these Heavy Metals come from? In my case, mercury and copper were likely to have come from my amalgam fillings. Copper-amalgam contains a high percentage of copper and I had many fillings in my milk teeth. Even later in school I had many cavities, which were restored with amalgam. The dentist said that I had weak teeth. As an adult, I have only had one cavity, so I might think that my parents were not good at helping me with tooth brushing and perhaps also the school dentist has been tempted to do fillings, which were not necessary as she was paid for the amount of pupils’ cavities that she restored. In addition I have in my job as a veterinarian, been exposed to many thermometers, which sometimes break and where the mercury ended up in the bottom of the car. Veterinarians were not properly informed that this could constitute a health hazard at that time. Moreover mercury can come from vaccinations containing the preservative thiomersal (ethyl-mercury). Mercury might also come from environmental pollution and intake of fish. Copper might come from use of copper spiral (anti contraceptive) and from drinking water and food. The Danish Agriculture Production uses 200 tons of copper yearly and this copper could be assumed to spread to the environment and end up in drinking water and food. When a person is burdened with mercury toxicity, then the excretion of copper is decreased. My toxicity burden with lead might perhaps come from common environmental pollution. My toxicity with aluminium probably came from years of injections with aluminium containing products against dust mite allergy. My nutrition today contains more antioxidants (nutrients which protects the body against free radicals and oxidation), more vegetables (raw vegetables are chosen) and more fruits. I have stopped eating unhealthy fats such as margarine, hard fats, corn oil, soy, sunflower etc. I try to eat more of the healthy fats such as fat fish (salmon), linseed, olives oil, nuts etc. I take antioxidants as nutritional supplementation, also a multivitamin mineral pill without iron and copper, extra vitamin C and E, Lipoic acid, N-acetyl-cysteine, Echinacea, Ginkgo Biloba and Coenzyme Q10. I also use DMSA for mercury, copper and lead chelation. Physical activity has been an important part of my life. At the beginning of my disease I walked without swinging my right arm and I stumbled rather often. After years training trying to walk normally with swinging my right arm, I have succeeded, but only when I am not too stressed or exhausted. The principle is like this, if I can walk one step with swinging the arm, then I can also walk 3 steps….. or also walk 5 minutes…or 5 kilometres and so on. I also use visualisation when training my movements. People, who do not realise the effects that Parkinson’s disease has on their own body, often have problems understanding how demanding it is for a Parkinson patient to cope with conscious movements. Even something as banal as cleaning your shoes on a doormat is not necessarily functioning automatically but needs mental work, like steering a toy car with a joystick. It is very common that a Parkinson patient with time develops a forward bending posture and some years ago I had thoracic Kyphosis and could not wear any of my shirts anymore. A physiotherapist has taught me some physical exercises, which I since have done every day. Today my back is straight again, which makes me happy. People, who are happy, often have a straight posture, while sad and grieving people often have a crooked posture. By choosing body posture you can also indirectly choose your emotions. I enjoy sending a signal that I am bubbling with joys of life. I try to avoid, if possible, all kind of stress. Now I choose calm classical music instead of rock; I value tight relationships instead of having a circle of acquaintances with ‘small talk’ and I love being out in nature instead of taking city walks. It is a pleasure for me to do meditation and to sing. I have also improved at listening to the signals from my body and I take care to rest and sleep when needed. I have also improved at learning to avoid doing things, which I dislike and instead I do things that make me happy. When being diagnosed with a chronic disease the patient often goes through a life crisis and so did I. The crises made me more religious and I learnt to pray to my God from the bottom of my heart – this has given me spiritual power to cope with life and the new circumstances. ‘Where there is willpower, there is a way to go.’ This phrase was said about me by a good friend, as a way to express how I cope with my disease. Years ago the neurologists said several times that I had got Parkinson’s disease and that this disease is chronic, impossible to cure and progressive. I thought that it might be like this for other patients, but that it would not be like this in my case. By working and studying a lot and sometimes by choosing blind paths, I have succeeded in finding a tiny little path out of my disease. Today I have fewer symptoms than in the year 1998, which means that the expression ‘progressive’ cannot be used generally about all patients with Parkinson’s disease. Generally I recommend neurological patients to be tested with a chelating agent for chronic toxicity with heavy metals. If this is diagnosed, then it is possible to detoxify, which can give hope to a future of increased health and decreased neurological symptoms. If you want more information about toxicity with heavy metal and Parkinson’s disease then use the Internet. Thank you for reading my case-story and I wish you all the best. Bjørklund G. Parkinson’s Disease and Mercury. Journal of Orthomolekulare Medicine 1995; 10: 147-148. “Dr. 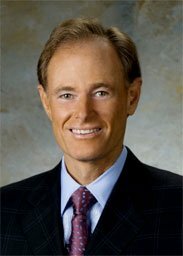 David Perlmutter, a board certified neurologist from Naples, Florida, started using intravenous glutathione in 1998 for his Parkinson’s patients after he did extensive research on Parkinson’s disease and effects of supplemental glutathione on improving the symptoms of Parkinson’s disease. He is the pioneer in using intravenous glutathione in the treatment of Parkinson’s disease. His research opened new doors in the treatment of Parkinson’s disease and other neurodegenerative diseases. Dr. Perlmutter has successfully used intravenous glutathione in patients with significant improvement in the symptoms. Although glutathione treatment cannot prevent the occurrence of symptoms, it significantly slows down the occurrence of symptoms with improvement in the existing symptoms. Glutathione supplements do not directly raise the dopamine levels in the brain, instead they improve the efficiency of dopamine in the brain and also increase the sensitivity to dopamine and serotonin” (from the article Glutathione and Parkinson’s Disease by Zina Kroner). Martin HL, Teismann P. Glutathione–a review on its role and significance in Parkinson’s disease.FASEB J 2009; 23 (10): 3263-72. The Yeast PARK9 protein (Ypk9) is localized to the vacuole membrane. 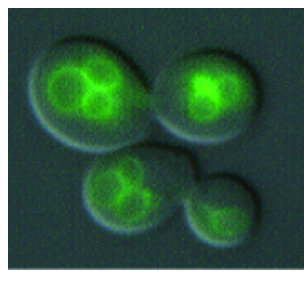 Shown are yeast cells expressing Ypk9 fused to the green fluorescent protein. A connection between genetic and environmental causes of Parkinson’s disease has been discovered by a research team led by Aaron D. Gitler, PhD, Assistant Professor in the Department of Cell and Developmental Biology at the University of Pennsylvania School of Medicine. Gitler and colleagues found in 2009 a genetic interaction between two Parkinson’s disease genes (alpha-synuclein and PARK9) and determined that the PARK9 protein can protect cells from manganese poisoning, which is an environmental risk factor for a Parkinson’s disease-like syndrome. Manganism, or manganese poisoning, is prevalent in such occupations as mining, welding, and steel manufacturing. It is caused by exposure to excessive levels of the metal manganese, which attacks the central nervous system, producing motor and dementia symptoms that resemble Parkinson’s disease. In Parkinson’s patients, the alpha-synuclein protein normally found in the brain misfolds, forming clumps. Yeast cells, the model system in which Gitler studies disease proteins, also form clumps and die when this protein is expressed at high levels. These are the same yeast cells that bakers and brewers use to make bread, beer, and wine. As a postdoctoral fellow at the Whitehead Institute in Cambridge, Massachusetts, Gitler and colleagues started looking for genes that could prevent the cell death caused by mis-folded alpha-synuclein in yeast. Eventually they found a few genes to test in animal models and some were able to protect neurons from the toxic effects of alpha-synuclein. “One of the genes that we found was a previously uncharacterized yeast gene called YOR291W. No one knew what it did back in 2006,” he recalls. Yeast PARK9 gene (YPK9) helps protect cells from manganese toxicity. Yeast cells missing the YPK9 gene (ypk9) grow normally under standard conditions (- Mn2+) but are much more sensitive to manganese (+ Mn2+) than wild-type (WT) cells. Because of its similarity to the human PARK9 gene, Gitler and colleagues renamed the yeast gene to YPK9 (which stands for Yeast PARK9). Researchers at Purdue University and The University of Alabama teamed up with Gitler and his colleagues to show that the PARK9 gene could also protect neurons from alpha-synuclein’s toxic effects. Next, the team set out to find the function of YPK9. Study co-first author, postdoctoral fellow Alessandra Chesi, PhD, discovered that YPK9 encodes a metal transporter protein. “Its sequence looks like other proteins that we know transport metals,” says Chesi. She deleted the YPK9 gene from yeast and the cells were fine. Then she exposed YPK9-deficient yeast cells to an excess of different metals — zinc, copper, manganese, iron, etc. — to determine which metal it might transport. Of all the metals Chesi tested, she found that in the presence of manganese, the YPK9-deficient yeast did not grow as well. They were hypersensitive to manganese. Gitler then found that the protein made by YPK9, the yeast gene equivalent of PARK9, is localized to the vacuole membrane in the yeast cell. Vacuoles are inner cell components that wall off toxic substances for later disposal. “Our hypothesis is that the vacuole, a bag in the cell that captures toxins, is sitting there and taking in manganese and sequestering it for detoxification, keeping it away from other cell organelles,” explains Gitler. “But, having a mutation in the PARK9 gene causes problems for this process in yeast and possibly in humans”. Guilarte TR. 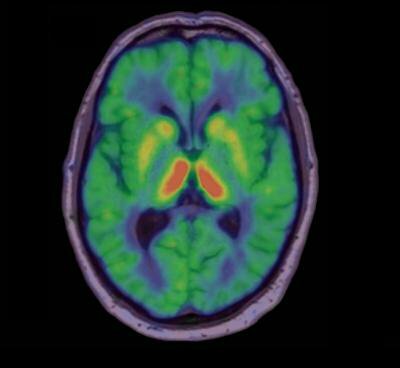 Manganese and Parkinson’s disease: a critical review and new findings. Environ Health Perspect 2010;118 (8): 1071-80. Gitler AD, Chesi A, Geddie ML, Strathearn KE, Hamamichi S, Hill KJ, et al. Alpha-synuclein is part of a diverse and highly conserved interaction network that includes PARK9 and manganese toxicity. Nat Genet.2009; 41 (3): 308-15. Aschner M, Erikson KM, Herrero Hernández E, Tjalkens R. Manganese and its role in Parkinson’s disease: from transport to neuropathology. Neuromolecular Med 2009; 11 (4): 252-66.